Master European vegetarian cookery with this six hour, professionally led culinary course. Discover the secrets to great-tasting, meat-free meals during this hands-on full day class. Prepare a variety of satisfying dishes – using quality, fresh ingredients – and take home everything you make! Your lesson takes place in a top cookery school, dedicated to providing a high standard of teaching, whilst emphasising ingredients’ nutritional benefits. Class sizes are kept small, so expect plenty of one-to-one tuition throughout the day. Over six hours, you’ll be taught to follow several creative recipes – including those for spinach, leek and feta pastries, baked portobello mushroom, Persian falafels, and butter bean and parsley dip. You’ll learn to make the most of vegetables and grains, and explore the health benefits of a vegetarian meal – even for committed meat eaters. Lunch is prepared by the group, and includes a complimentary wine, beer or soft drink. Not only will you leave with a tasty Tupperware feast – you’ll also have gained the know-how to create more flavoursome, meat-free dishes at home. 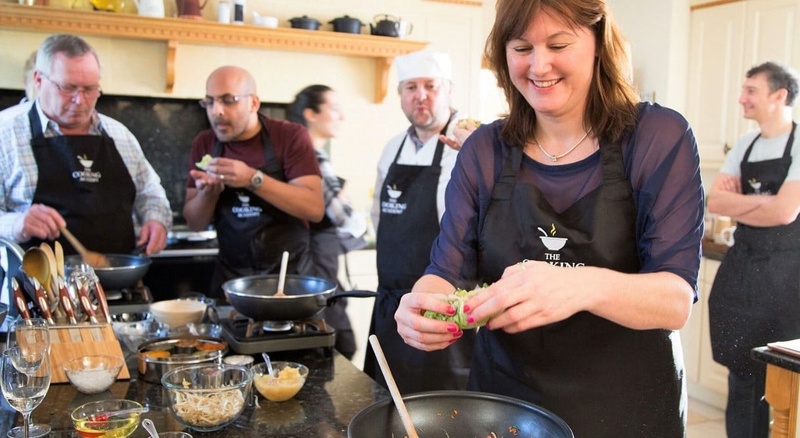 The European Vegetarian Masterclass, in Hertfordshire, is suitable for cooks of all abilities. An Experience Days voucher would bring new variety to a culinary loved one’s kitchen. Participants: The European Vegetarian Masterclass Hertfordshire is for 1 participant.